As expected, #Foodtvchat with Rosa Graziano was a knockout! 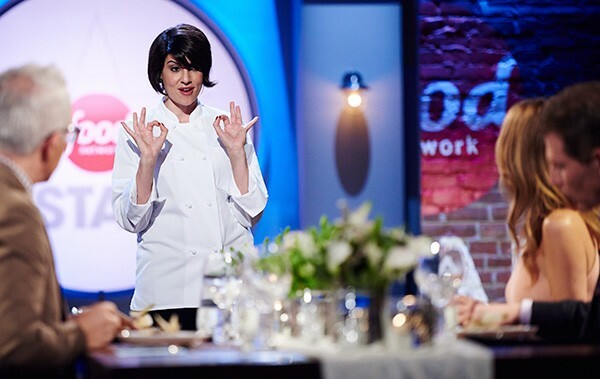 And no, #FoodTVChat with Rosa Graziano did not include any duets with fellow Food Network Star contestant Michelle Karem (other than this video Michelle posted) but Rosa was nonetheless totally entertaining! You missed #FoodTVChat with Rosa Graziano? Well, below is a recap of the highlights….and there were many. Enjoy! How would Rosa describe her Food Network Star experience in three words? What is Rosa’s one essential pantry item? Yes, salt and we agree but the answer should probably begin with “the much maligned and misunderstood” since salt is nothing if not misunderstood, right! What was the one dish she made on Food Network Star that Rosa felt should have had more air time? What is Rosa’s big takeaway from Food Network Star? How did Rosa stay true to herself during the intense competition of Food Network Star? And what’s next for Rosa Graziano? Hosting….she’s a natural!! Rosa Graziano, we wish you all the best in your next venture and we have every confidence that you will be successful. Thank you so much for being our Guest Chef on #FoodTVChat—I think we summed it up pretty well in the chat! Join us this week on #FoodTVChat when our Guest Chef will be Erin Evenson, contestant on #CutThroatKitchen, #JamesBeard and burger chef extraordinaire! !